Here you will find all of our fuel & intake products to make your sled run at it's peak performance. Here you will find all our available jets, washers, needle & seats, etc. 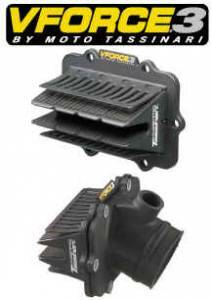 Bring life back into your sled with a new set of V Force reeds. Click here for applications. Description: Mikuni carburetors are well known in the snowmobile industry for their easy tuning and good performance characteristics. These carbs have tuning components to control fuel flow at any throttle opening.